Free Shipping Included! AC1200 High Power Dual Band WiFi Range Extender, WAVLINK Wireless Signal Booster/Repeater/Access Point/Router w/Gigabit Ethernet - White by WAVLINK at Pacs BG. Hurry! Limited time offer. Offer valid only while supplies last. 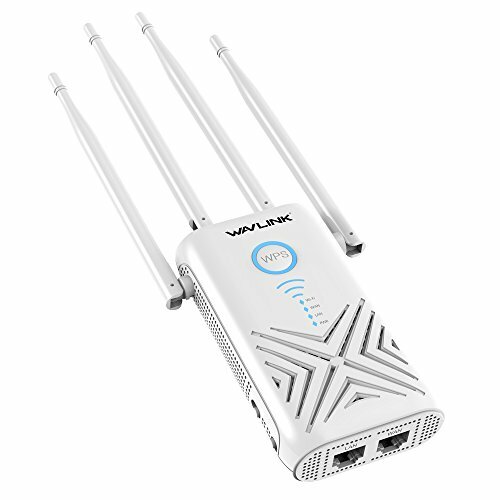 ✅Elimminate WiFi Dead Zones - This booster has high-powered amplifiers & four high-gain 5dBi adjustable antennas for maximum WiFi coverage and penetration, boost receiving sensitivity and sending ability, expand any Wi-Fi to at Least 1000sq.ft.